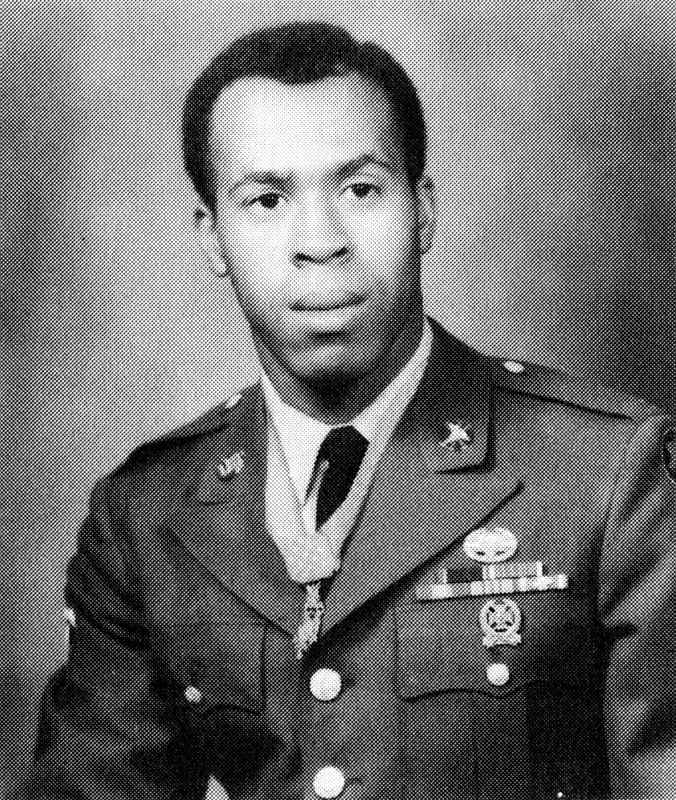 Clarence Eugene Sasser was just twenty years old when his actions earned him the Medal of Honor. His enrollment at the University of Houston had kept him out of the draft, but as the Vietnam War progressed Sasser dropped his student status to part-time. The Army subsequently drafted him, but he prefers to think that he “volunteered to be drafted.” He headed to Fort Sam Houston where he trained to become a combat medic. 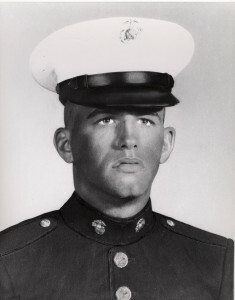 By September 1967, Sasser was in Vietnam. Assigned to an infantry unit, he regularly treated gunshot wounds, shrapnel injuries, and jungle-related skin issues while on patrol. In January 1968, Sasser’s unit was backing up those on the front. “We thought we had an easy time for a change,” he recalled. The first two days of the engagement proved relatively simple, but on day three they received orders to head to the front. Helicopters took the group to a rice field under heavy fire. Sasser was shot in the leg as he exited the aircraft at roughly 11:00 a.m. on January 10. The next hours turned into the longest day of his life. The soldiers fought against enemy snipers, mortars, and booby traps; and the wounded Sasser attempted to tend to as many injuries as possible. He had become friends with the men in his unit and felt a responsibility toward them, saying “There’s no way that I could have, in my mind, not went to see about someone when they hollered medic, or when they called Doc.” That day and overnight, Sasser sustained painful shrapnel injuries, was knocked unconscious by a ricocheted bullet, and became a target for snipers, and yet he continued to tend to his fellow wounded. Just before day break, helicopters evacuated the soldiers. 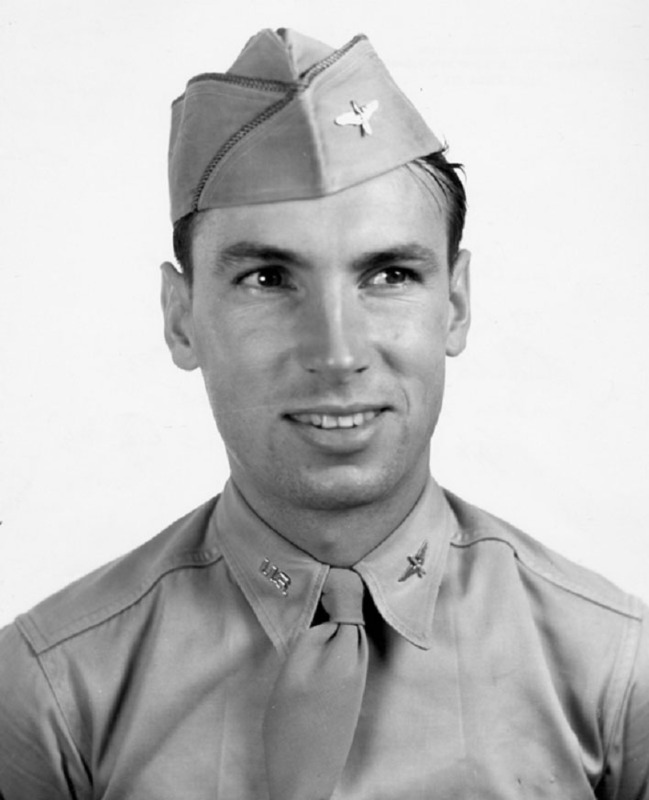 Raymond Larry Knight was a First Lieutenant in the United States Air Force and served in World War II. He piloted numerous flights over enemy holdings in Northern Italy. On April 24 and 25, 1945, Knight led multiple missions to attack enemy aircraft hidden in preparation for an attack against the Allies. According to the Medal of Honor citation, “Ordering his fellow pilots to remain aloft, he skimmed the ground through a deadly curtain of anti-aircraft fire to reconnoiter the field, locating eight German aircraft hidden beneath heavy camouflage.” Knight personally led the attack, destroying five of seven enemy planes. Upon returning to base, he immediately volunteered for another mission against the same enemy holding. Despite his plane being hit, Knight destroyed eight German aircraft. The following day he returned to wipe out three more, but his plane was severely damaged in the fight. In trying to return the much-needed aircraft to his base, Knight encountered dangerous weather and was killed when his limping aircraft crashed into the Apennines Mountains. The Medal of Honor was awarded to Knight posthumously for his “gallant action” that “eliminated the German aircraft which were poised to wreak havoc on Allied forces pressing to establish the first firm bridgehead across the Po River; his fearless, daring, and voluntary self-sacrifice averted possible heavy casualties among ground forces and the resultant slowing on the German drive culminated in the collapse of enemy resistance in Italy.” Knight is buried in the Houston National Cemetery. Richard Allen Anderson grew up in Houston, graduated from M. B. Smiley High School in 1966, and attended San Jacinto College. In 1968, he enlisted in the U.S. Marine Corps and attended combat training and Sea School in San Diego, California. One month after completing training, Anderson was deployed to Vietnam and promoted to lance corporal. Anderson and his team came under heavy enemy fire while on patrol on August 24, 1969. He sustained multiple injuries, including gunshot wounds to both legs, yet he continued to fire back at the enemy. In an effort to protect his fellow Marines when an enemy grenade landed nearby, Anderson “immediately rolled over and covered the lethal weapon with his body, absorbing the full effects of the detonation.” He was posthumously awarded the Medal of Honor for his “indomitable courage, inspiring initiative, and selfless devotion to duty.” Anderson is buried in Forest Park Cemetery in Houston. To read more on other Houston-area and Texas Medal of Honor winners, please visit www.homeofheroes.com/moh/states/tx. Click here to view a PDF of the full article.